The annual Montblanc Black & White Week event provided a well-appointed preview of the latest product launches that money can buy. We spent the day skimming across cutting-edge timepieces, writing instruments, state-of-the-art leather goods and lavish accessories that left a lasting impression. 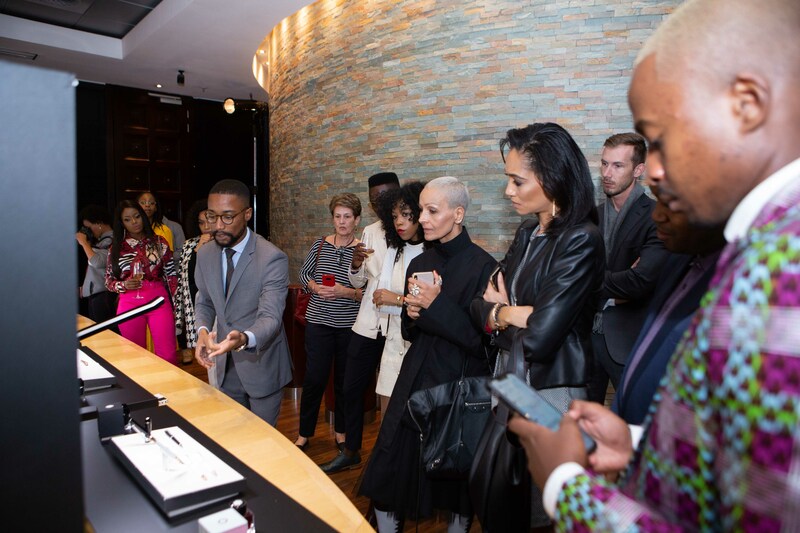 The intimate gathering was held at the African Pride Hotel in Melrose Arch, hosting brand elites, media and digital influencers at large. We got the chance to try and test the latest timepiece collections as well as the chance to see the latest products across the luxury Maison’s writing instrument, leather and jewellery categories. Amongst the prestigious guests, we spotted lifestyle influencer Siyanda Dzenga who is famously known as Siyabunny looking stylish in a monochrome outfit. Fashionista Neo Kgoloane stuck to the theme and turned heads in a modern tuxedo attire proving that he is one of the country’s best-dressed influencers. Reality TV star Olwethu Leshabane was spotted striking a daring pose alongside model Anesu Chogugudza. TV personality Mulisa Mudau looked pretty in well-tailored high waisted pants, a stylish printed shirt and pointy heels. It’s been a minute since we’ve last seen Radio personality Melanie Bala. How gorgeous is she? Fashion designer and natural hair enthusiast Mmanaka was spotted all smiles at the exclusive launch. What do you guys think of this #Reconnect1858 preview? Are you feeling the photos from the event?